McNeil Design Group Interiors ‘Serene White Home Office’. This white-on-white fresh serene Home Office boasts a plethora of closed and open storage. Every aspect of this custom desk was assessed and granted the Client with a completely tailored space to ensure a clean high-functioning work space. This space also includes two double doored closets, each 8Ft wide by 8Ft high with interior closet organizers. Soft neutral porcelain tile and wool area rugs zone the desk area from a small L-shaped low-rise conversational seating area (out of frame). Ledges in white blend with the wall colour for Client files and art pieces to be displayed. Accessories in bold black and pops of fresh colours can be changed at will. 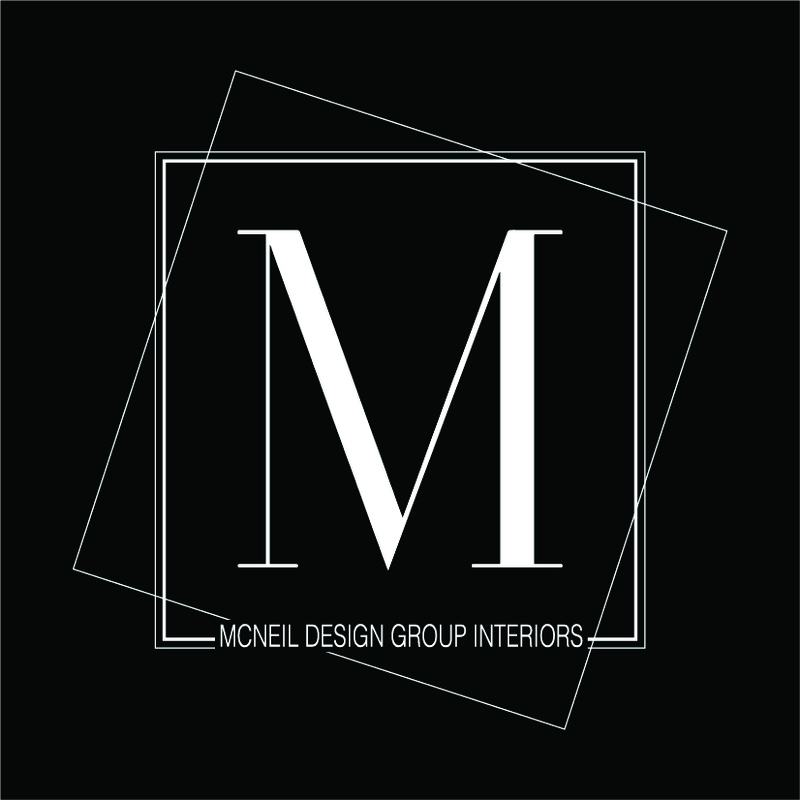 Photography courtesy of McNeil Design Group Interiors. This project saw a tight dining room converted into a cozy, high functioning, customized working Den. The contrast of the surfaces was minimized by collaborating the wood tones of the flooring and cabinetry, while allowing the custom desk to play centre stay in it’s warm wood tone. The cabinetry was tailored to house the Clients collection of character pieces, books, office necessities (printer, media storage, filing drawers etc) and Sci-Fi collectables. The furnishings were selected with the possibility of utilizing the space in a multifunctional. There are alternative space plans for the room where the desk slides to the window becoming a bar and two more chairs (in a tailored stripe) join to create a centre chair grouping of four for entertaining. Lots of function in a moderately sized space.